Bayern Munich and Germany custodian Manuel Neuer is without a shadow of a doubt the best goalkeeper of his generation - if not all time. Aptly nicknamed 'The Wall', Neuer hit a century of clean sheets in record time (183 matches) in 2016/17, smashing Oliver Reck's previous best-mark (232 matches) by some distance. He also chalked up a Bundesliga record 21 shut-outs in 2015/16, and is the only goalkeeper in Bundesliga history in the plus-100 outings bracket to have conceded fewer goals (259) than appearances made (343). Statistics are one thing, but medals are another, and Neuer - a three-time UEFA Goalkeeper of the Year - has plenty of those. A 2014 FIFA World Cup and Golden Glove winner, a five-time Bundesliga champion, a UEFA Champions League winner, a four-time IFFHS (International Federation of Football History & Statistics) Best Goalkeeper of the Year - the list is endless and shows no signs of stagnating for a man who has champion spirit etched into his DNA. 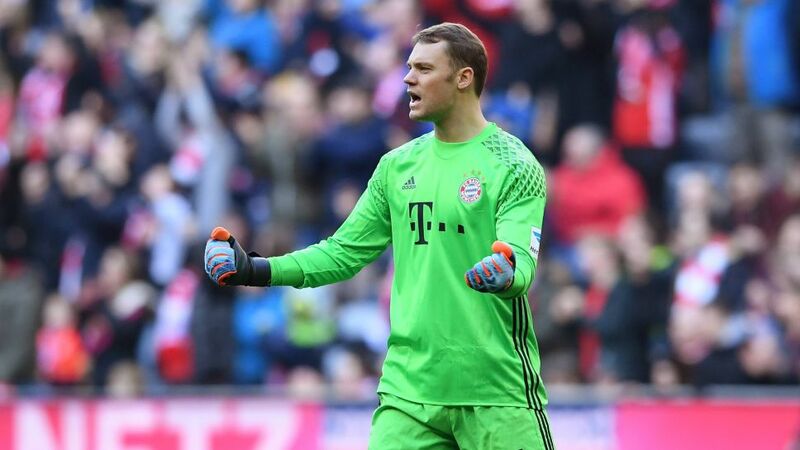 Continuously resetting the bar, Neuer has revolutionised the very definition of football's last line of defence. Indeed, for some, the image of the Germany No.1 racing out of his own box to foil Algeria's Islam Slimani in the last 16 of the World Cup in Brazil is one of the enduring images of the finals. Of course, none of those silky skills would add up to much had he not perfected the bread and butter art of shot-stopping in the first place. There have been inevitable comparisons with Bayern legend Oliver Kahn in that department, but forget the similitude. Neuer is the greatest, idiosyncratic goalkeeper the game has ever seen.